Prevents the Windows feature Internet Printing Client from being turned on. 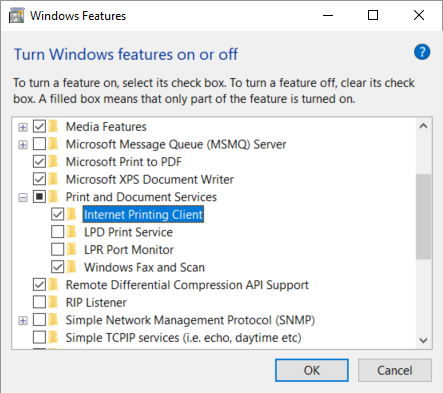 Look in the Windows PrintService logs to see if there is a policy that prevents direct printing. If required submit support request if you need assistance. Please include Windows PrintService log from the failed print attempt.